If life imitates art, then the behind-the-scenes Trump story is torn from the pages of a John Le Carre novel. For those who don’t know his books, they are political and social commentary in the form of spy novels, complete with complex skulduggery and corruption. Up until now, Oaklandsocialist has said that the real reason Trump was under such attack was that he was intent on using his administration for personal enrichment at the expense of US capitalism’s global interests. It seems this was only half right. In the 1990s, Trump Organization filed a series of bankruptcies. This history made financiers reluctant to invest in new building/real estate ventures with Trump. Around that time, which was shortly after the old Soviet Union collapsed, the Russian oligarchs/Russian mafiosi started to rise and to expand their operations globally. 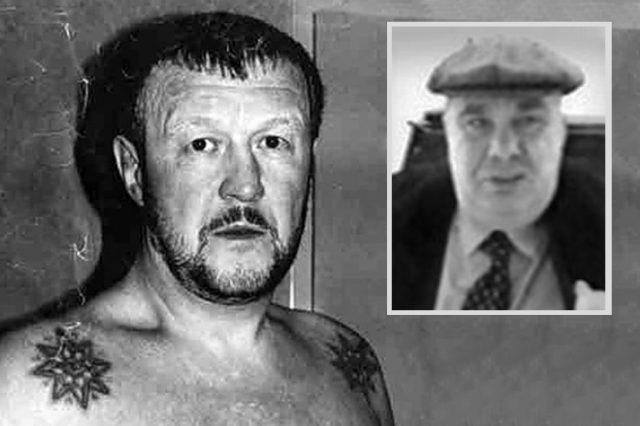 One leader of this mafia, Semion Mogilevich, known as “the boss of bosses”, prevailed on a Russian judge to release a lifetime criminal, Vyacheslav “Yaponchik” Ivankov from prison. In 1992, Ivankov arrived in the US and set about organizing the disparate elements of the Russian mafia here into one coordinated body. He moved into Trump Tower. When the FBI, which had been looking for him, spotted him there he disappeared (again)… only to be found in Atlantic City at… Trump’s Taj Mahal. 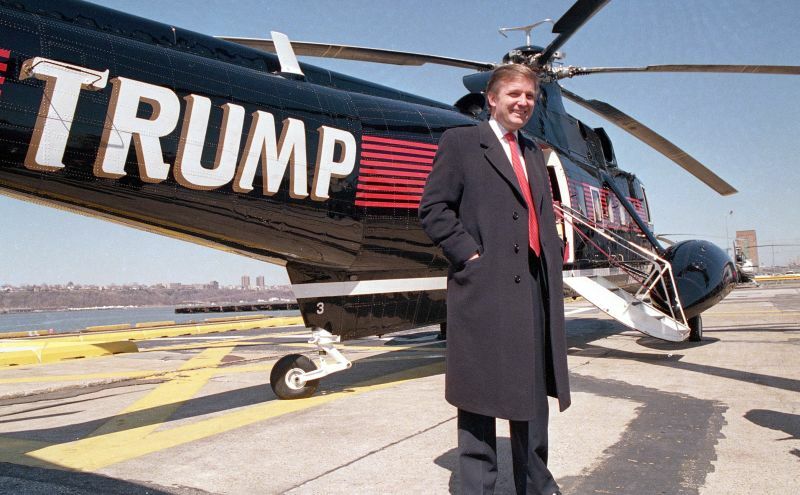 This drug trafficker also lived in Trump Tower and was Trump’s personal helicopter pilot. As for Trump’s complaints that he was wiretapped by Obama: Often such claims have something behind them. Oaklandsocialist has to wonder whether it wasn’t that the Obama administration was wiretapping some of these gangsters in Trump Tower and Trump got caught up in their recorded conversations. Back to Ivankov: Ivankov also founded White Rock investment company. Then, he was arrested and convicted for extortion and was sent back to Russia in 2004. In the decade prior (the 1990s), Trump had declared a series of bankruptcies, and as a result was unable to raise financing for new projects. This was right around the time that Ivankov had arrived in the US. One of the major goals of the Russian oligarchs/mafia was to find investment outlets here, especially since both the politics and the Russian rouble were so unstable. Around this time, another Russian-born Trump associate appeared on the scene: Felix Sater. Sater came to the US as a child in 1974. He went to work for Bear Stearns as a stock broker, but one little incident interrupted that career: He was convicted of stabbing a fellow broker in the neck and face with the broken-off end of a martini glass after he got into an argument with him. He then went into real estate investment, including with Russian and Turkish investment companies. In 1992, Sater joined Ivankov’s White Rock group where several years later he was convicted of fraud. He served no time in prison and only paid a $25,000 fine in exchange for agreeing to serve as an FBI informant. 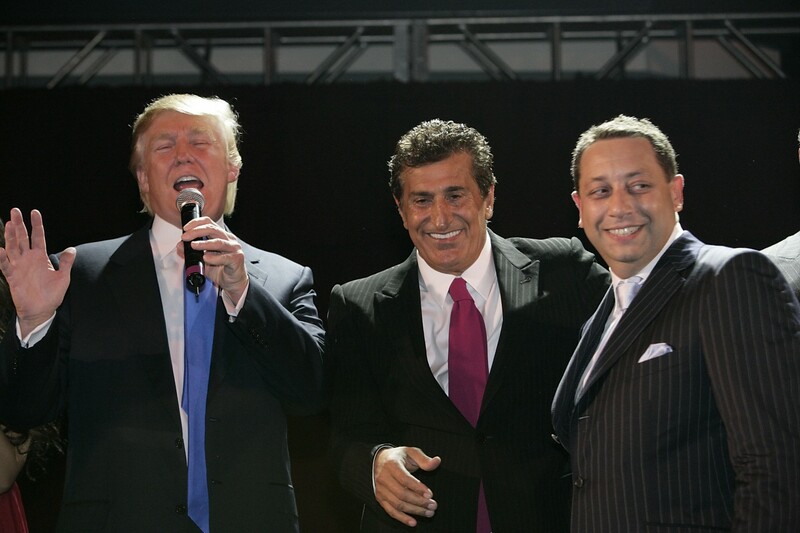 Donald Trump with Bayrock partners Tefvik Arif (center) and Felix Sater at the Soho launch party in 2007. Trump said he hardly knows him. Arizona and New York City, including the SoHo Towers. This last was the only one in which Trump actually put up any equity; by that time, Trump’s business strategy had changed from directly investing his own or borrowed cash to simply licensing the use of his name to other investors – a perfect set-up for money launderers. 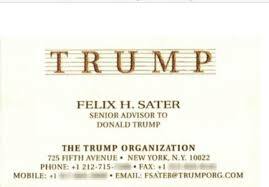 In 2007, Sater’s past was publicly “outed” by the New York Times and he was forced to leave Bayrock, but it’s not credible that Trump didn’t know about his past prior to then. Now, Trump claims he hardly knew Sater at all, which is also not credible. They did high profile deals together, apparently flew together on Trump’s jet, and appeared together in public. 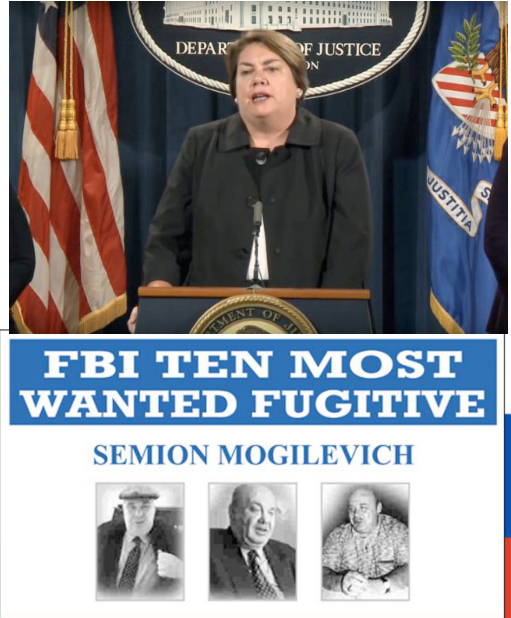 Why did she take the nearly unheard of step of having Mogilevich removed from the FBI’s Ten Most Wanted list? him?) from the FBI’s Ten Most Wanted list. This was an extremely exceptional move, usually only done when one of these Big Ten is either arrested or dies. In January of 2017, Trump announced that he’d hired this same law company as his ethics counsel. Just six month’s earlier, Morgan Lewis offices in Moscow had been given the award as “Russian Law Firm of the Year”! The list of Trump appointees and associates who had or have links with Russian capitalists is broad and deep. One of the more outstanding was Carter Page, who founded his own investment fund, Global Energy Capital, which partnered with Sergei Yatsenko, the former executive of (Russian state gas company) Gazprom. “Business Insider” reported that when Page was in Moscow in July of 2016 to give a speech, he was offered the brokerage fee for the sale of a 19% stake of Rosneft (the Russian state oil company) if he could convince Trump to lift sanctions on Russia. That 19% stake was sold to a Qatar fund in December (i.e., after Trump was elected). The deal was financed by Gazprombank (the bank for Gazprom), of which Page was a member of the board of directors. Page was in Russia one day after the sale was finalized. The attacks on Trump on the major news outlets like CNN clearly show that the tops of Corporate America – the US capitalist class – want Trump out. But why, then, are Trump’s links with criminals like Sater not being trumpeted on the news? 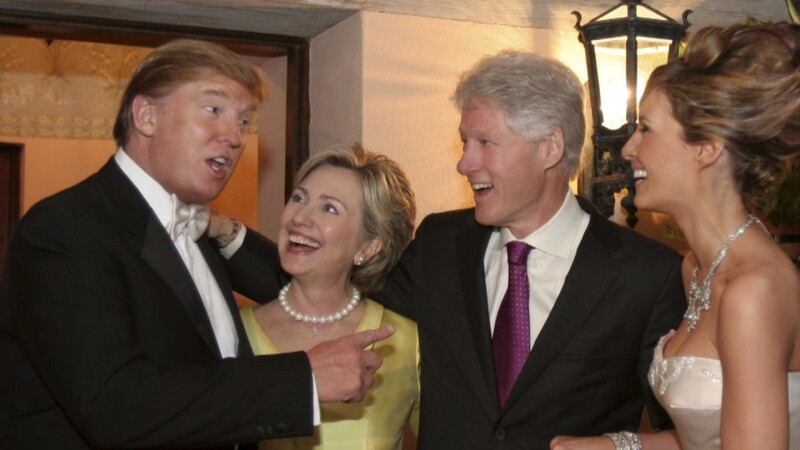 Bill and Hillary Clinton helping the Trumps celebrate their wedding. The reason is that they have a tiger by the tail. It’s equally clear that these links also involve the Department of Justice (Caldwell) as well as the FBI. In addition, Trump is not isolated from the US capitalist class in general, as his high-end 2016 wedding to Melania shows. At the end of the day, this entire Trump affair shows the utter depravity of the US capitalist class and its government. If this ever fully sees the light of day, it could set off a protest movement that would dwarf 2011’s Occupy movement. Let’s hope that happens and do everything we can to further that! Update: Since writing this article, it’s become clear that what really lies behind all of this is the fact that the entire real estate industry is absolutely riddled with money laundering for drug cartels and other criminal elements. That, in essence, is what Trump was doing – money laundering. That’s why they cannot really go after him on the heart of the issue – because it would open up a huge can of worms, involving the banks and other financial institutions. For more details on this, see this article. * –This online journal is founded by Russ Baker, former reporter for the NY Times, The Village Voice and other major papers, and contributing editor to the Columbia Journalism Review. We mention these connections because nowadays all too many wing-nuts and charlatans parade as “investigative reporters” and publish all sorts of weird conspiracy theories. World War or World Socialist Revolution? I did a presentation on the pre-Apprentice Donald Trump this past January, and through the research I had to do, it was so clear that he has been deep, deep, deep in the midst of the Russian gangster world for a very long time. I also remember from my days in New York in the 1980’s and 1990’s talk about it as well, although it was never more than rumors. Fascinating! What’s more, I do think he is dumb as a doornail and has no idea what he’s blabbing about to the Russians. I suspect his Mafia buddies are enjoying the show. .